Compared to January–September 2017, over the nine months of 2018 the volume of freights carried by land and via pipelines increased by 7.6 mln tons or 8.6 % and freight turnover rose by 5.4 %, informed LETA/BNS. During the January–September 2018, freight transported to and from Latvian ports accounted for 48.7 mln tons – a rise of 2.1%, compared to the nine months of 2017. Freight turnover at the port of Riga constituted 26.7 mln tons (4.8% more than in the nine months of 2017), the indicator at the port of Ventspils comprised 15.1 mln tons (drop of 7%), at the port of Liepaja 5.5 mln tons (rise of 16.2%), and at minor ports 1.4 mln tons (increase of 12.8%). 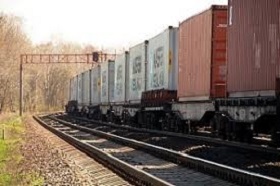 Compared to the nine months of 2017, the volume of freights shipped from the Latvian ports dropped by 0.2% and constituted 42 mln tons of freight. The volume of coal loaded onto ships went up by 0.6 mln tons or 4.1%, volume of timber by 41.8%, while volume of freight in containers and roll on/ roll off by 11.7% and 14.8%, respectively. Shipping of oil products fell by 2.2 mln tons or 19.3%. The volume of freights received at ports rose by 19.8%. The volume of unloaded freights in containers did not change (slight drop of 0.2 %), volume of roll on/ roll off grew by 9.5% and volume of unloaded oil products by 13.3%. Riga International Airport received and shipped 18,900 tons of cargo, which is 14.8% more than in January–September 2017.